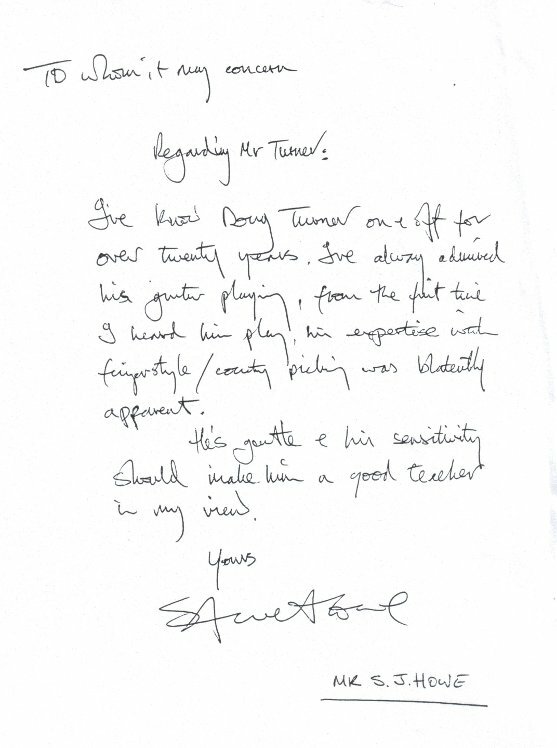 I’ve known Doug Turner on and off for over twenty years. I’ve always admired his guitar playing, from the first time I heard him play, this expertise with fingerstyle / country picking was blatantly apparent. He’s gentle and his sensitivity should make him a good teacher in my view.